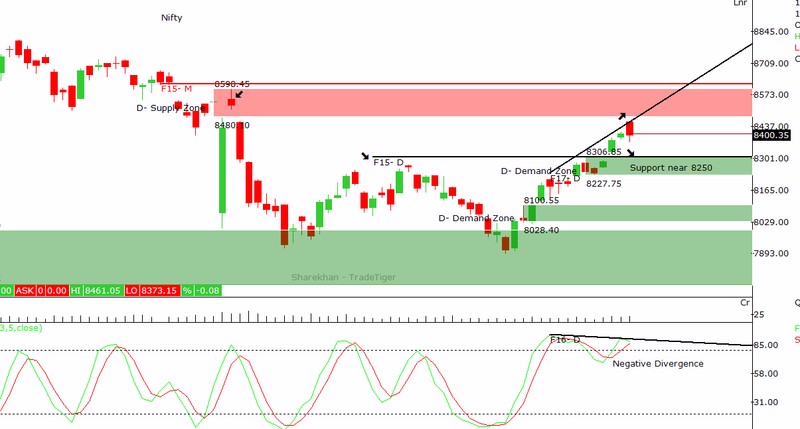 Tata Communication is trading in broad range since begining of November. 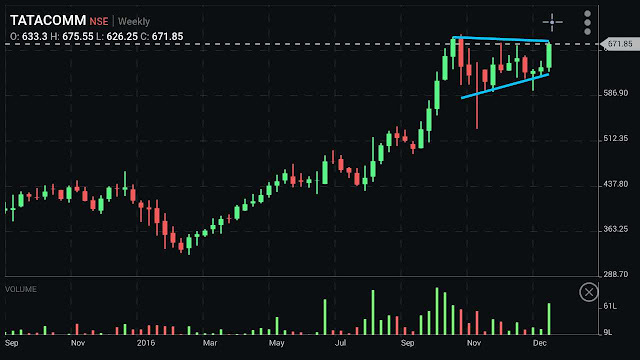 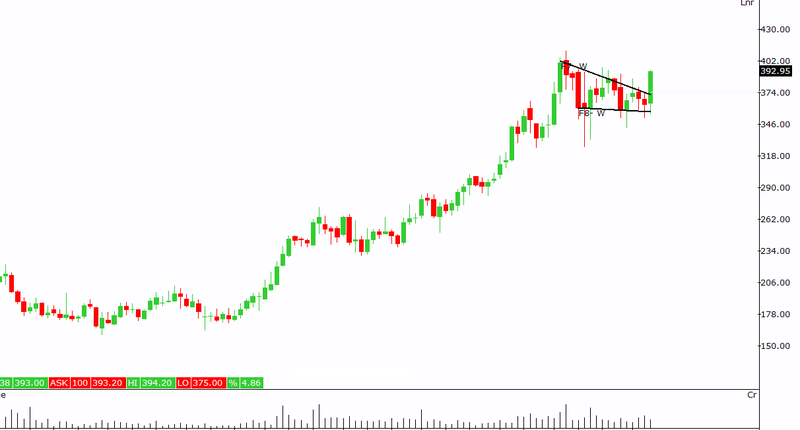 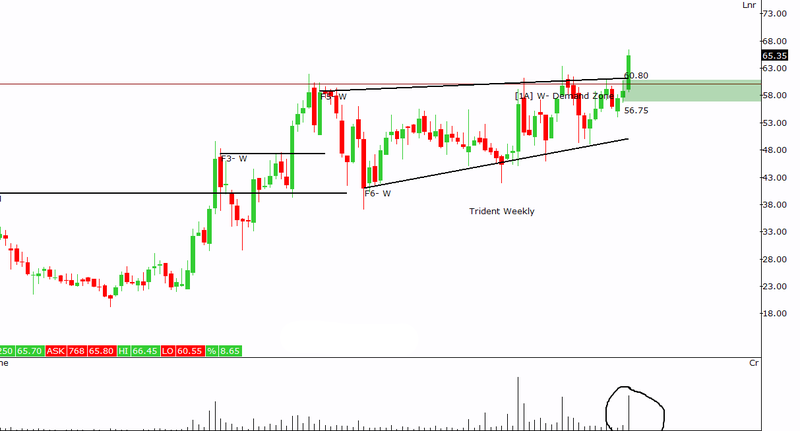 An ascending triangle on weekly scale is formed with this 2 month long consolidation. 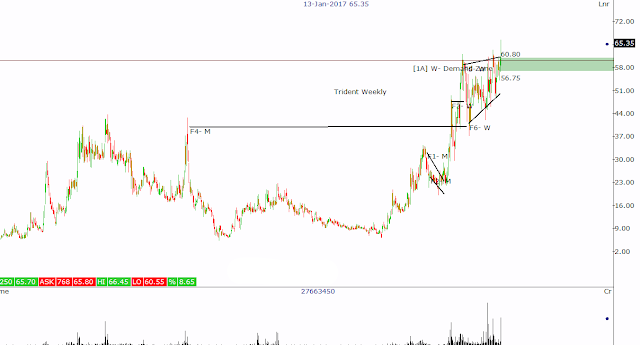 Observe the activity in volumes this week. 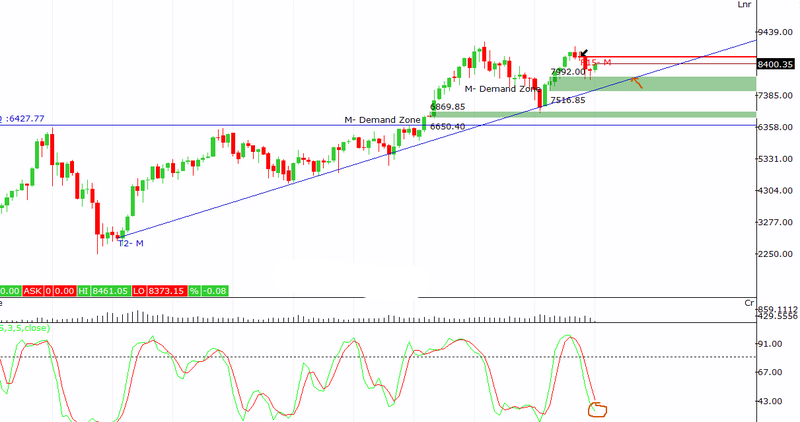 Possibility of a breakout? 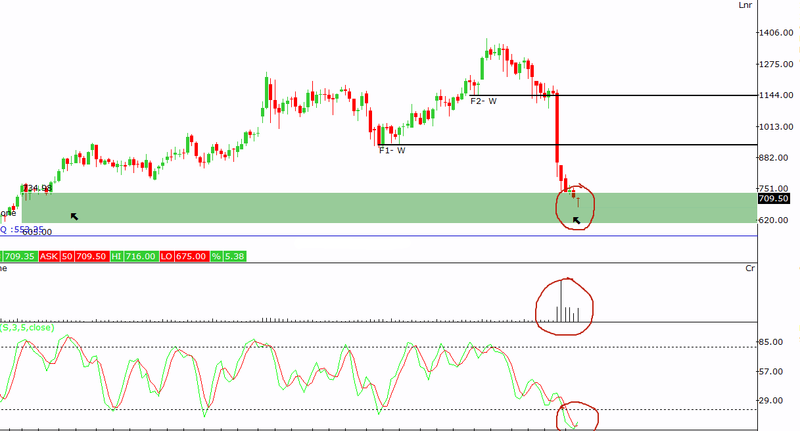 ACC monthly chart below. 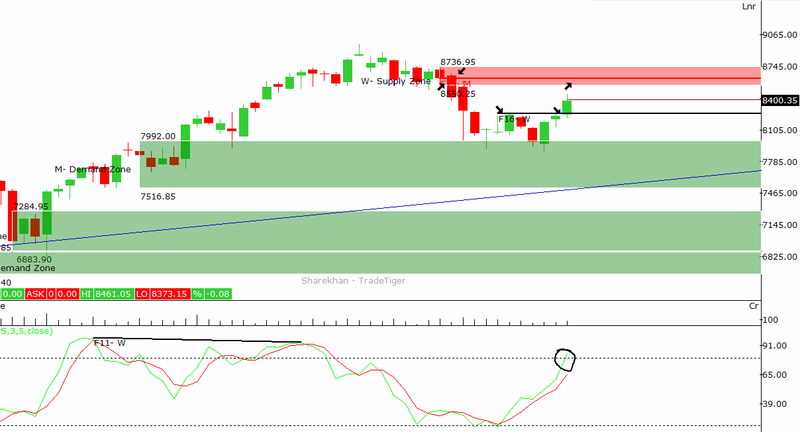 Looks attractive specially because of low risk. Ready to spell a new move after a nice correction. 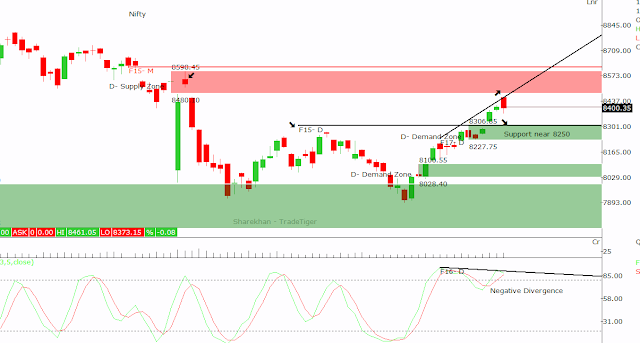 Weekly time frame. Asian Paint is one of the stocks I had recommended at that time. 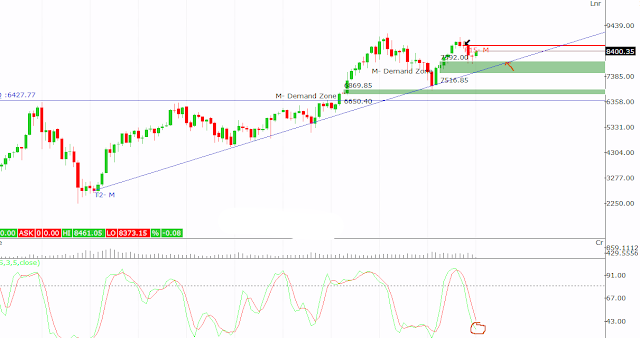 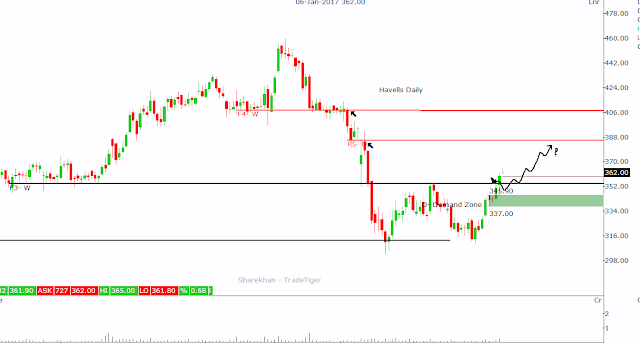 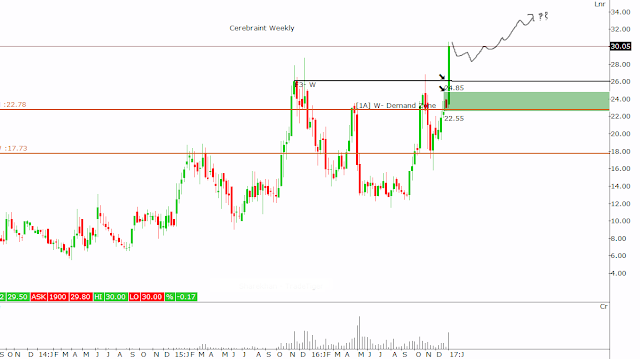 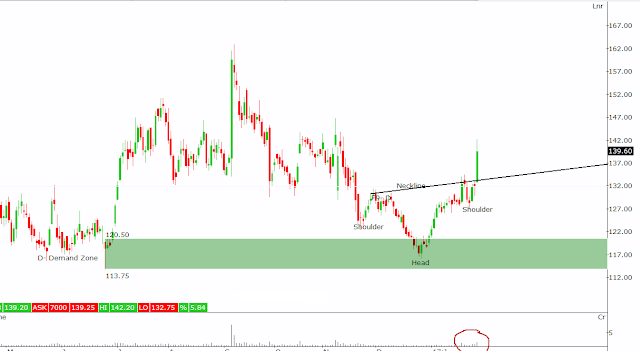 Check its recent reaction on the chart below. 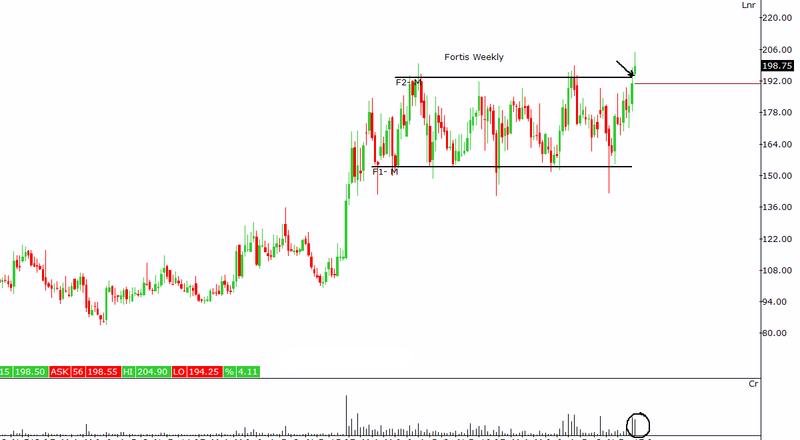 At current levels Sriram Transport Finance is available at a discount of a 40%. Strong support area and price till next price hurdle has lot to offer. 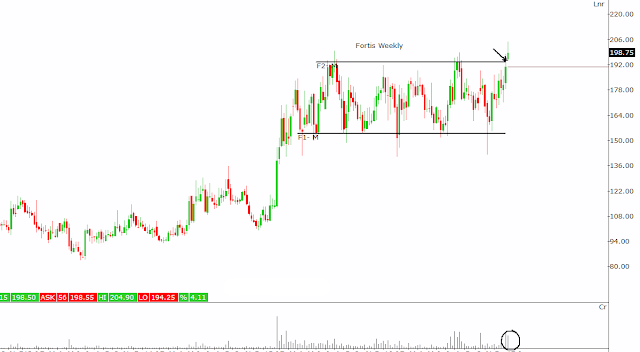 Weekly time frame here. 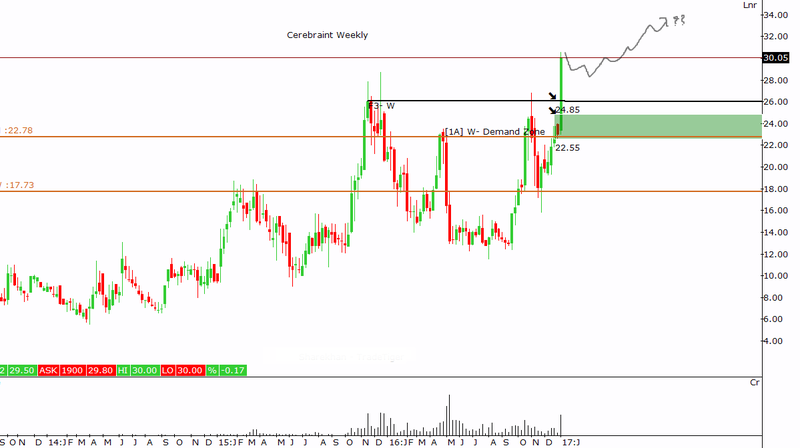 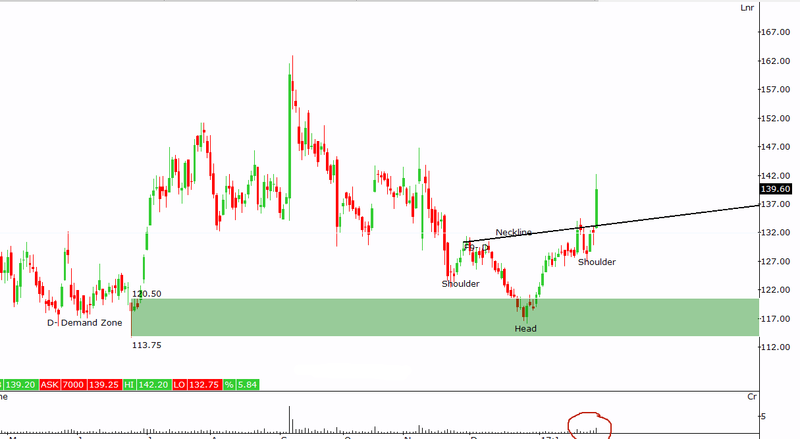 Ajanta Pharma is one of the stocks I had recommended at that time. 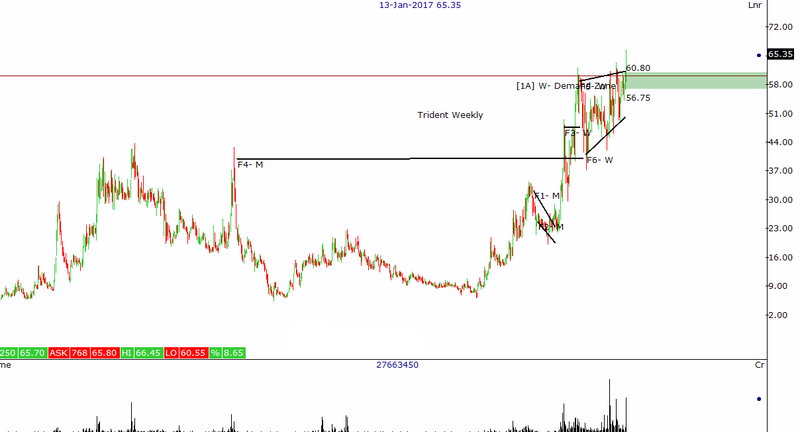 Check its recent reaction on the chart below.